Sgt. Lloyd W. Brown, son of Mr. and Mrs. W. E. Brown, graduated from Temple High School; husband of the former Vera V. Lawson. 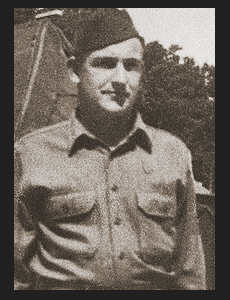 Entered the Army in July 1942, trained in Camp Gruber, Okla., Camp Hood, Camp Barkeley, Texas; served in France. Awarded Good Conduct Medal, ETO Ribbon.